Gorgeous four bedroom plus study on a cul-de-sac lot. This home features porcelain wood tile throughout the entire first floor as well as brand new carpet upstairs. The large kitchen includes an island, tile backsplash, stainless steel appliances, abundant counter and cabinet space. Formal living room and dining room are located at the front of the home, perfect for entertaining. The first floor also includes the family room with fireplace, half bathroom and study with French doors. Upstairs features the master bedroom with ensuite bathroom, three large secondary bedrooms, the utility room, as well as secondary bathroom. Additional home features include the recently replaced roof and HVAC. 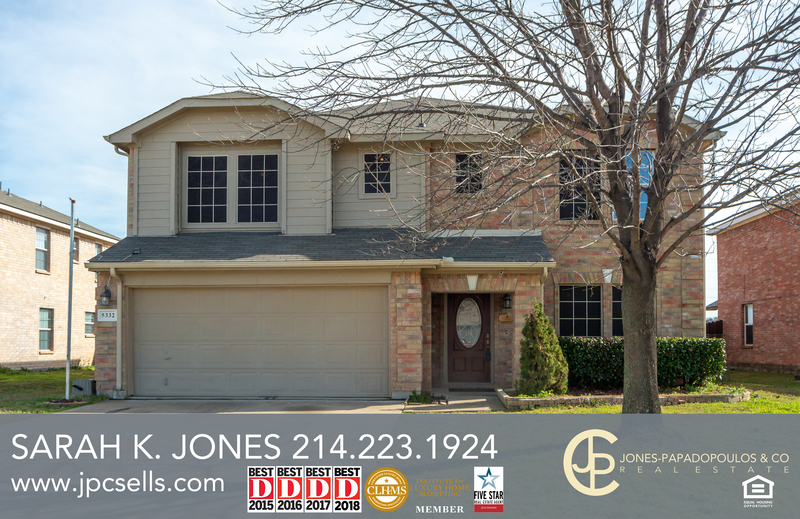 The home is located minutes from Joe Pool Lake, ten minutes from EpicCentral (Grand Prairie’s state of the art 172 acre park), easy access to major highways and shopping. For full MLS Listing, click here.